Olive trees originate in the Mediterranean basin where, together with grapevines and fig trees, they help to define the aesthetic and culinary character of the region. 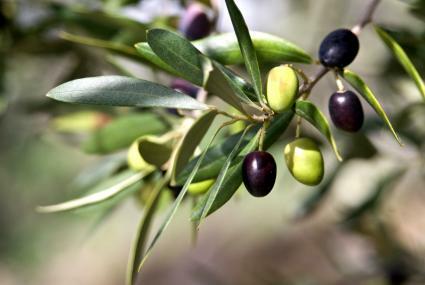 If you live in the parts of the country where they are adapted, olives are a tough and reliable species that can be grown for their fruit or purely as an ornamental specimen. Olives are evergreen trees reaching anywhere from 20 to 50 feet in height at maturity, though there are also dwarf varieties that stay only six to eight feet tall. The leaves are pale green and slender and overall the tree has a highly ornamental appearance, taking on a beautiful gnarled form with age. 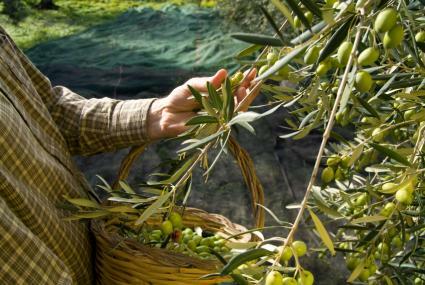 Olive trees can live for hundreds of years and still produce a copious crop. Olives are sun-lovers, requiring at least eight hours per day to thrive and produce. They are also heat lovers, thriving in hot, dry climates. Below 20 degrees, most olives will suffer freeze damage, though the root system may survive temperatures as low as 10 degrees and still be able to re-sprout. The dwarf varieties are well-suited to container culture, meaning they can be brought indoors for the winter in cold climates. They need to be in a bright sunny room - ideally a solarium or greenhouse - but will survive the winter in a south-facing window necessary. 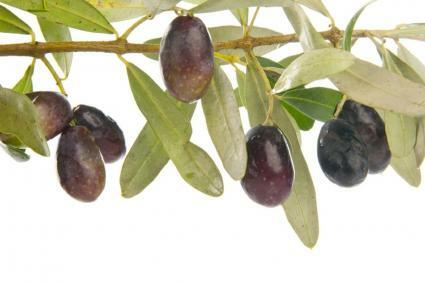 Olives are drought tolerant and disease resistant, making them one of the easiest fruits to grow. They do not require any pruning for fruit production and generally take on a pleasing shape as they grow on their own. 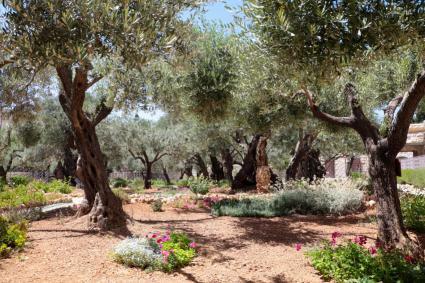 The dry, rocky hills of the Mediterranean where they originate are naturally low in fertility and pampering an olive tree with fertilizer and water often results in less fruit and greater susceptibility to disease. It is a good idea to maintain a layer of mulch over the roots and prune out any wood that is damaged by storms, but otherwise there is very little maintenance involved in growing olive trees. They are very adaptable to pruning, however, so it is possible to cut them back to maintain a smaller tree for easier harvest. Olives can also be sheared into a formal hedge, which is a common practice with the dwarf varieties. When growing olives in a pot , be sure to let the soil dry out between waterings. Spider mites (which appear as a whitish webbing on the leaves) are often a problem indoors, but regularly spraying of the leaves with water is generally sufficient to keep them under control. Olives ripen in fall, but the exact time depends on the variety and they type of olive that is desired. All olives start out green and become black when fully ripe, though certain varieties are traditionally harvested in the green stage. Olives are extremely bitter and inedible when picked from the tree. A salt brine is typically used to leach the bitterness out of the fruit, after which they can be pickled with herbs and spices and kept fresh in the refrigerator for many months. Green olives are more difficult to process for home growers because they contain more of the bitter compounds that have to be leached out. Arbequina is a popular variety known for it exquisite culinary qualities. The tree is ideal for a home orchard as it grows to only about 15 feet. Manzanilla is the most common variety used for black olives and is one of the only that requires another variety nearby for cross-pollination - otherwise it is incapable of setting fruit. Pendolino is a unique variety with a weeping habit. Little Ollie is a popular fruitless variety that is often used as a hedge. If you live in the southernmost parts of the country where olives thrive, you should have no problem finding an olive tree at a local nursery. Otherwise, there are several mail order nurseries that will ship them to you. Sandy Oaks Nursery in southern Texas stocks 27 varieties of olives and will ship them to your door for as little as $12 each, plus shipping. Willis Orchard Co. in Georgia carries seven varieties and sells seedlings for under $20. Grow Organic (Peaceful Valley Farm) in California offers a nice selection of potted olives. Their trees range from $20 to $40 each, plus shipping. In the climates where they can be grown, olives are one of the most tough, reliable and easy-to-grow fruit trees available. With their attractive grey-green leaves and gnarled form, they make a beautiful focal point in the landscape. Plant them well away from patios and parking areas, as the fallen fruit creates a stain that is very difficult to remove.